Can Tho (VNA) – An inaugural ceremony for the “Maker Innovation Space” (MIS) in the Can Tho University was held in the Mekong Delta city of the same name on April 5. 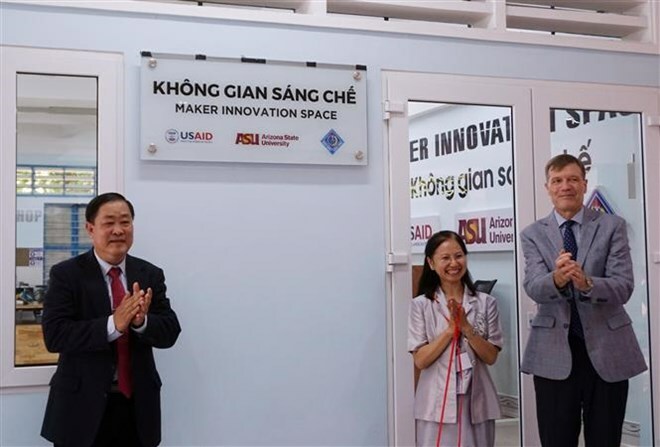 The space, launched by the US Agency for International Development (USAID), the Can Tho University and Arizona State University of the US, is hoped to create a driving force for young inventors and foster creative ideas of students in the Mekong Delta. It is divided into four workshops to make wooden, metal products and electronic devices, along with a common working space. USAID Mission Director for Vietnam Michael Greene said the MIS in Can Tho city is the third of its kind that was built within the framework of the BUILD-IT project sponsored by the USAID. The model is expected to foster the transition of traditional pedagogy to a more modern style and support Can Tho University’s cooperation with the private sector. Inventors could work together to design, built and create products’ prototype and solutions, he added.